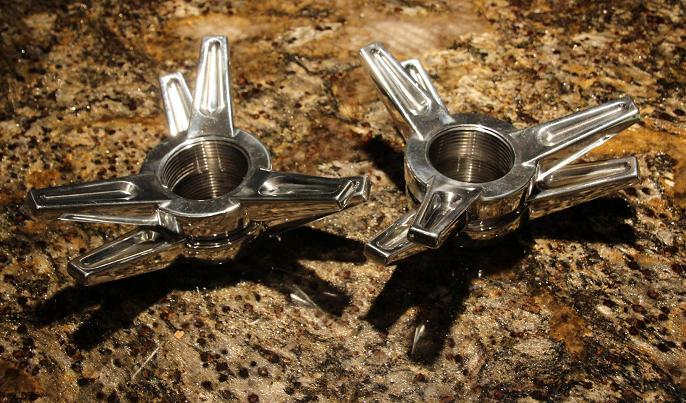 These Polished Forged Aluminum alloy high strength spinners are beautiful gleaming works of automotive artwork. 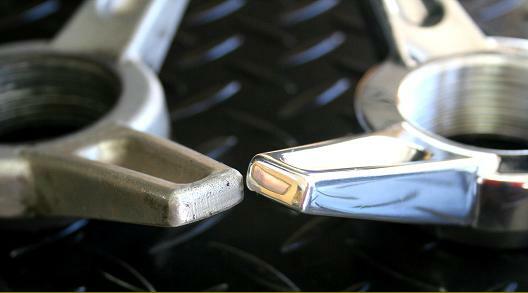 Polished to perfection and pressure forged mechanical supremacy. 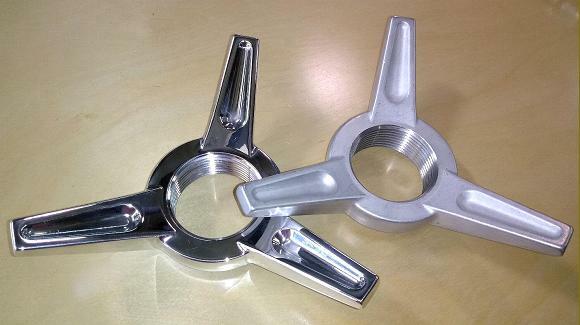 The denser pressurized alloy of the PFA spinner results in smoother surfaces and threads which means the spinners spin on easier, hold tighter and remove with ease. This also makes the threads stronger and resist "bending" if inadvertently over tightening a spinner that can reslt in the threads "locking into" the threads on the hub making removal difficult. Not with the PFA spinner! The thicker wings of the spinner mean more strength and longer lasting after many install and removals. The better material and thicker surface ring of the tapered cone means increased contact, increased longevity and reduced galling and gouging.